Back in 2012, many people criticized Christopher Nolan’s film The Dark Knight Rises for not featuring Batman onscreen long enough. Actually, the Caped Crusader only appears during a very small portion of the movie’s running time, with his billionaire alter ego Bruce Wayne taking over as protagonist throughout most of the movie. 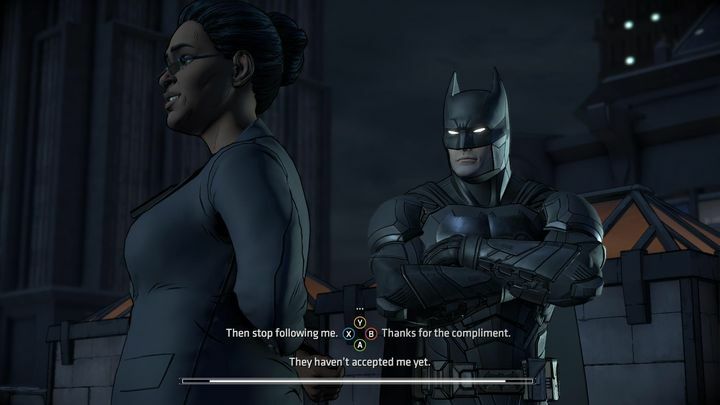 But this focus on Bruce Wayne actually made Nolan’s film more interesting, and video game developer Telltale Games has taken a similar route in this second episode of Batman: The Enemy Within. This is because this episode (titled “The Pact”) puts Bruce Wayne at the centre of things, while also featuring a colourful menagerie of villains and plenty of exciting moments to boot. And like in The Dark Knight Rises, early in this episode Batman ends up trading blows with supervillain Bane, but soon discovers he is not able to deal with the hulking brute in a fight. This early fight is exciting though, and as in earlier episodes, is based on quick-time events that require you to press the right button or move the thumbstick in the right direction in order to execute moves. You can’t actually lose here for the most part, although sometimes an enemy will be able to gun down the Caped Crusader if they catch him unawares, even if such occurrences are few and far between. There are also some choices to be made at certain points (such as hitting one character or disarming another, for instance), which add spice to the QTE-based action sequences. 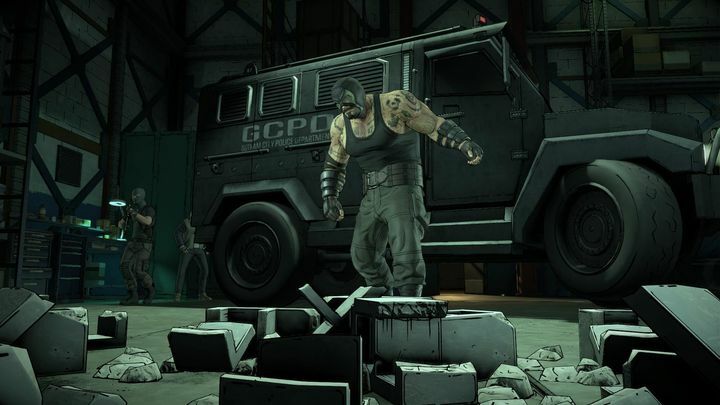 Bane will put Batman to the test in this new episode of Batman: The Enemy Within. After the Bane fight, a battered and wounded Batman soon fades to the background, but not before Alfred gets to berate him as usual for taking too many risks during his vigilante activities. 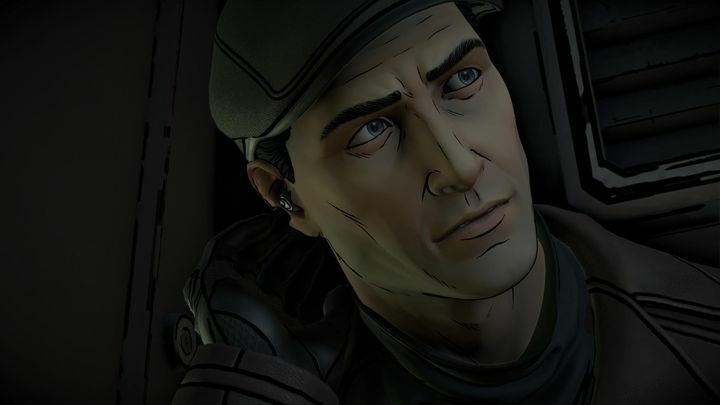 Alfred is a well-realized character as in the first episode of Enemy Within, with Telltale’s portrayal of the wise and loyal butler being similar to that seen in recent movies and other video games to date. 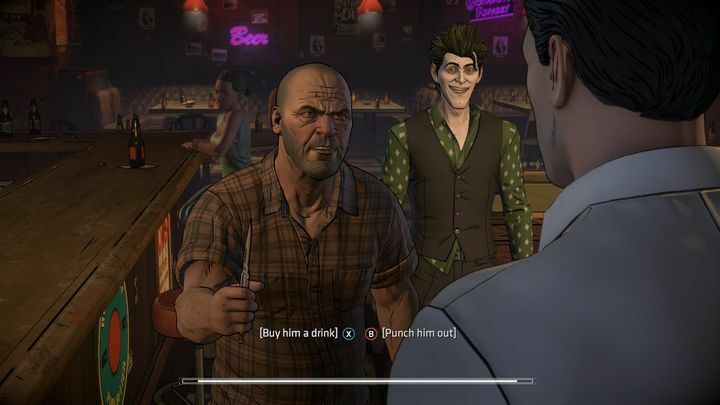 Other characters like Commissioner Gordon and Waller (the leader of a mysterious law enforcement agency) also appear in this episode, but neither drew my attention much, and neither did having to decide whether to side with one or another at certain moments during this second episode of Telltale’s Batman series. Fortunately, the villains are a highlight, and aside from Bane, characters like John Doe and Mr. Freeze also make an appearance. Like in the first episode, John Doe is a standout here. He’s a frisky, unstable and somewhat insecure guy, and interacting with him during one sequence set in a bar is one of this episode’s highlights, as you never know what to expect from the guy. How far are you willing to go to please John Doe (second from right) and his friends? Of course, there’s a reason why Bruce Wayne wants to get to know John Doe better, despite the fact they already have a history together. This is because Wayne suspects Doe and his friends are up to no good, and somehow connected to the Riddler’s evil scheme, the beginning of which we saw in the first episode. And it’s most interesting to see Bruce Wayne infiltrate the criminal underworld here (something he obviously couldn’t do as Batman), siding with Jon Doe and his evil gang in order to achieve his aims. Amongst John Doe’s group is Bane himself, who sadly isn’t such an interesting character. Neither is Mr. Freeze, although Telltale’s portrayal of the icy villain is pretty good in this episode all the same. Batman is still a force to be reckoned with, but this episode is mostly about Bruce Wayne though. Actually, having to choose how far you are willing to go in order to convince John Doe and his gang you’re on their side, in an attempt to discover their evil plans, is one of the joys of this episode and something that makes The Pact more exciting than the first episode despite its shorter length and other downsides. Because it’s clear that Bruce Wayne’s core beliefs will be challenged here, such as when choosing whether to deal with a traitor in a violent manner at one point, or deciding whether to help a security guard after he’s been knocked out by one of the villains in the Wayne Tower. But despite its overall quality, though, this second episode of The Enemy Within does have its quirks. For starters, I would have liked to see characters like shady businessman Mori, and a female law enforcement agent whom I saved at the expense of her colleagues in episode 1 feature in this episode. And while Tiffany Fox (Lucius Fox’s daughter) does appear in one great scene, I would have liked the character to play a more active role in this episode’s proceedings. Hopefully, though, we’ll get to see more of these folks in upcoming episodes. Also, at certain points during conversations you get a message explaining that a certain character will remember what you said, or that your relationship with a certain character has changed after having made a dialogue choice, as is typical with Telltale’s adventures. For the time being, though, this does not seen to have much impact on the narrative. I’m still hoping that these choices I’ve made throughout the first two episodes do have some interesting (and major) consequences later on though. 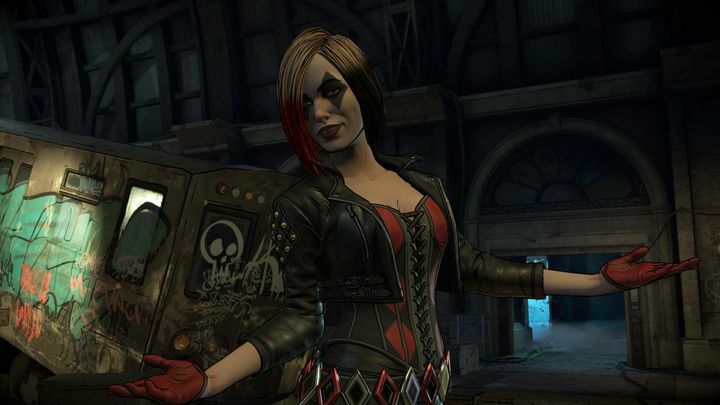 Harley Quinn steals the show in this episode of Telltale’s Batman. Sadly, there’s not much detective work to do in this episode either. Aside from one section which requires you to scan for fingerprints and one bit in the Batcave where you do a bit of investigative work, there’s nothing in this episode that will make you feel like the World’s Greatest Detective. This is made worse by the fact that the entertaining crime scene investigation gameplay featured in episode 1 is nowhere to be seen here. At least there’s an OK puzzle involving one of Lucius Fox’s technological devices at some point in the game, but overall there’s nothing in this Telltale adventure that will stress your grey matter that much. Also, I’m still not that fond of the game’s timed dialogue and haven’t warmed up to the game’s title music either. Thankfully the artwork, graphics and animations here are as great as they were in the first episode though. So despite its faults, this is a strong second episode in which Bruce Wayne takes centre stage, requiring you to make plenty of difficult choices throughout, while offering a different take on a Batman story. Harley Quinn is certainly a great villainess here, making up for the first episode’s unconvincing Riddler character. Plus, there surely are enough exciting moments here to make me look forward to future episodes, in order to find out where this Batman story is headed next.